The grocery industry covers almost 60% share of the total Indian retail market value. 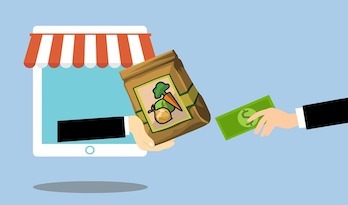 The recent studies say that at the end of 2019 the Indian online grocery market will reach 2.7 billion posts just because of the increasing demand for grocery delivery software. Nowadays grocery shopping has become easy and simple with our shopurgrocery - grocery delivery script. Now business entrepreneurs don’t have to limit their choices since shopurgrocery allows people to purchase from multiple supermarkets at the same time using a single checkout process. All you have to do is choose your favorite store, add products to the shopping cart, and choose your payment method to complete the shopping. After some time you will receive your items, by the delivery boy. Shopurgrocery - grocery delivery software, helps you to set up an online grocery ecommerce platform like Bigbasket, instacart, grofers, etc. The users can search and shop their products within a very few clicks. We offer a very user-friendly grocery delivery script which allows starting an online grocery delivery website with the best user experience. Based on your location, you can choose your desired local stores or supermarkets. Simply choose the items from multiple stores and add it to your cart. Finalize your payment method and receive your shopping items at your doorsteps. Handiness and ease of use are the two prime features of our grocery delivery software. End-to-end cross-device compatibility and user experience also makes our grocery shopping cart script as the best solution. Customizable platform, white-label software, 100% source code, free installation, free technical support, multi-domain license are the other major features of our grocery software. If you are looking for stunning grocery delivery software, shopurgrocery is a perfect choice for you. Contact our experts to know more about our grocery delivery script and share your requirements with us.